In my write-up for Exposed's Professional Nail Lacquers here, my swirly nail design got the most raves and I thought I do a tutorial on it. Alas, the second time didn't turn out quite as pretty as the first. But I thought I post it up anyway because this is a much neater alternative to the rather messy water marbling (I'll still try this though. Someday.). And it's really easy! P.S. 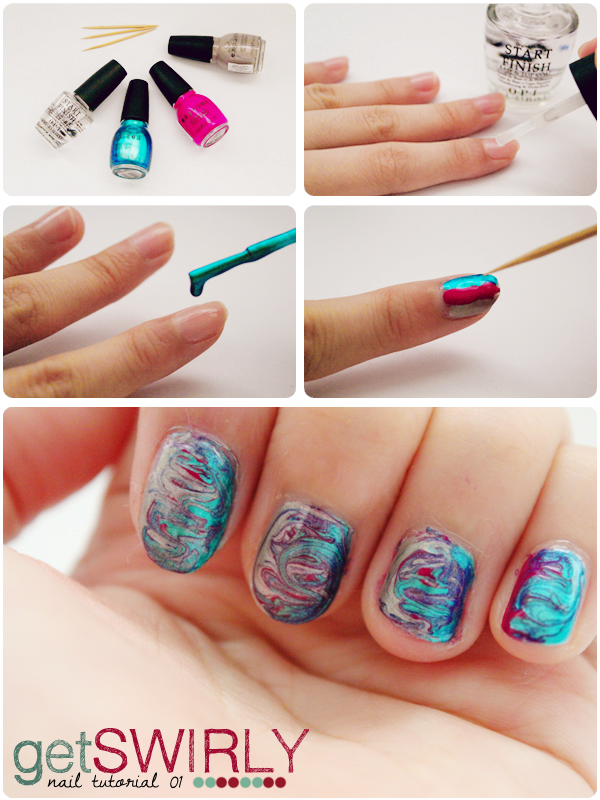 : Nail polishes used above are Exposed's Professional Nail Lacquers in Cosmopolitan 56 (Shimmery teal. ), All Nighter 39 (Matte aubergine.) and Barefoot 07 (Shimmery ash grey. ).